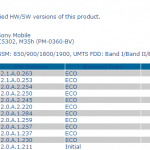 Guess what Sony has rolled out another update, this time for Xperia SP. 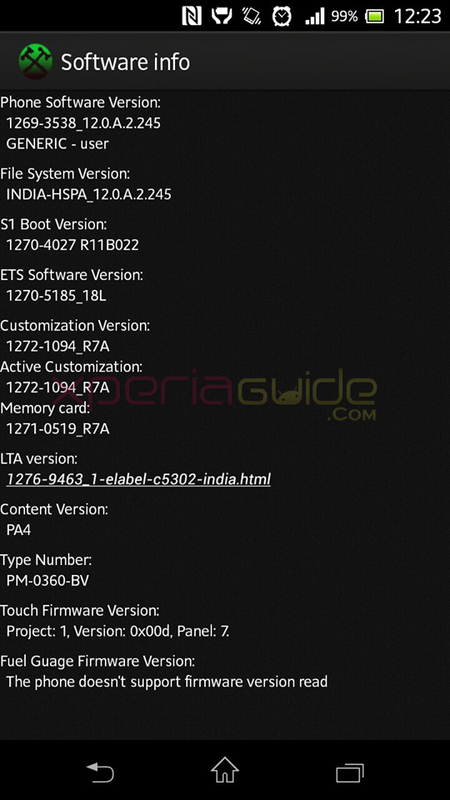 Both Xperia SP C5302 HSPA+ and C5303 LTE version are being reported with this new Android 4.1.2 12.0.A.2.245 firmware update, probably it is the bug fixing update over previous 12.0.A.1.257 firmware ( Update in India ) and 12.0.A.1.284 ( Global ) updates. Update has brought a new UI and some other cool features, kindly check the changelog below. 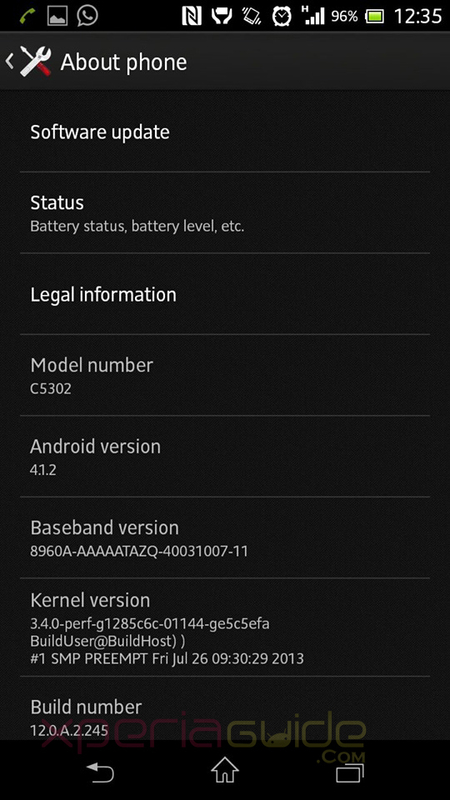 Both kernel and baseband has been changed as comparison to previous firmwares. 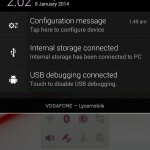 Connect your Xperia SP C5302/C5303 to PC Companion and check for Android 4.1.2 12.0.A.2.245 firmware update notification, if a notification as shown below is available then proceed as per on-screen instructions. First reboot after update will be slow, don’t panic it will get back to normal soon. 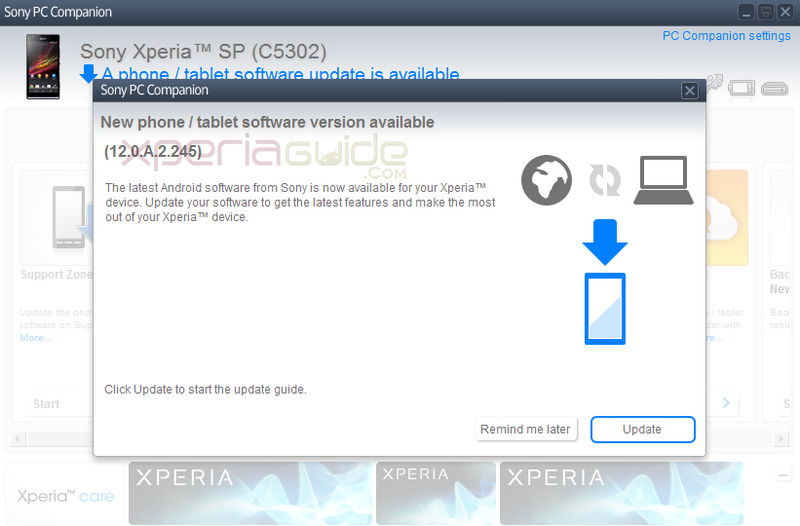 Well similarly you can update your phone via SUS also if PC Companion is not showing the update notification. Well if you haven’t got the 12.0.A.2.245 firmware update notification and want to update the phone manually by flashing you can do that. 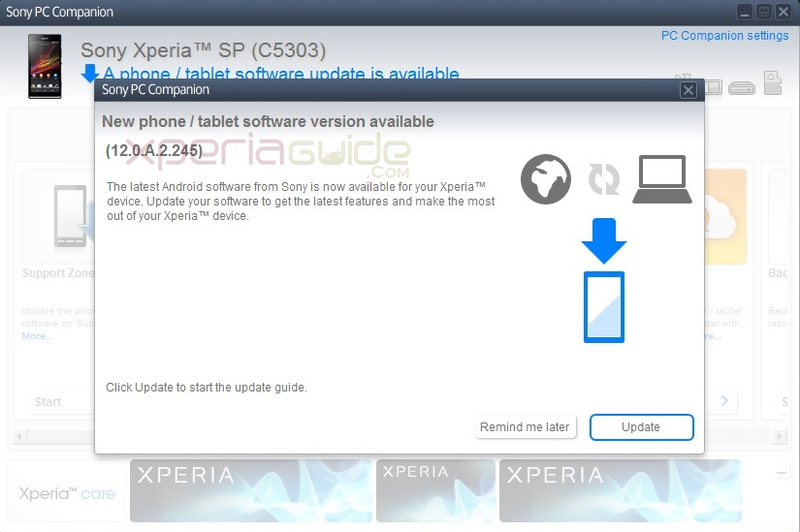 Download below mentioned 12.0.A.2.245 firmware ftf file and flash it on your Xperia SP C5303. Flashing don’t void warranty, require no root neither unlocking of bootloader, it’s safe. 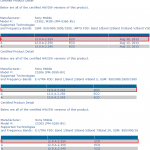 Customization info above Brand – India file added below. 12.0.A.2.245 firmware Update seems to fix many bugs. It looks very much similar to Xperia Z android 4.2.2 updates, looks this what Sony Xperia SP got for skipping android 4.2.2 😛 UI is improved very much. Semi – Transparent bars added in soft keys panel – menu bar and notification bar ( on homescreen ). Some new small apps seen. 766 MB Of RAM available for usage. Home screen still redraws on booting up. White Balance Mode option of camera seems distorted – a bug. Soft keys button bar black now, on previous firmware it was grey. Wi-Fi issues are fixed, though we never had any. Touch more responsive, seems unusual touch response bug fixed. No change in battery consumption, it is same as before ( reporting after 24 hours ). We are checking new features on our phone, will update the post soon. 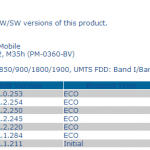 Proper root method for Xperia SP 12.0.A.2.245 firmware is not yet available, will update as soon it comes. If you have already gotten this update, than let us know the chnagelog and any major changes you noticed. 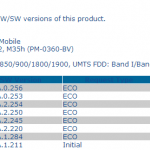 Comments with your reviews on 12.0.A.2.245 firmware Update. 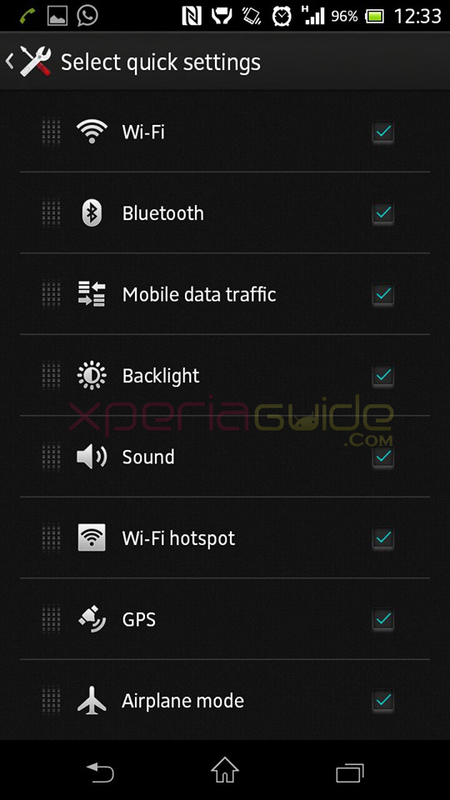 Support Xperia Guide, Consider Donating us a little amount, Help Xperia Guide – Donate here. update in India…phone performance increased…small apps i seldom use..
Is there any change in the camera.. It had very poor lowlight images. How does it look now? 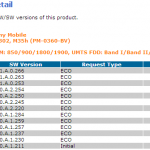 can i flash this C5303 file on my HSPA+ version ? IS root available on it…DoomLoRD kit working ? 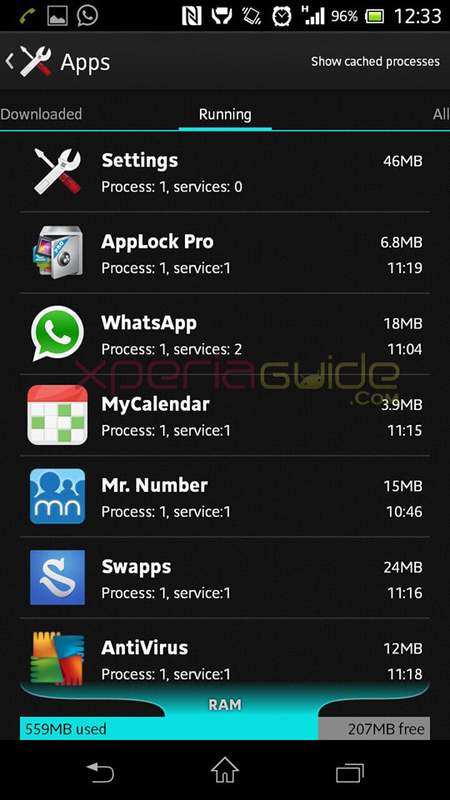 Can you please post your software customization info ?? Bro, are you still getting the lighting problem??? still i did not update it, is it good to update?? please let me know waitin for your reply. 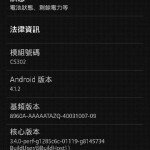 I have rooted my xsp. can I update with pc companion without any problem? 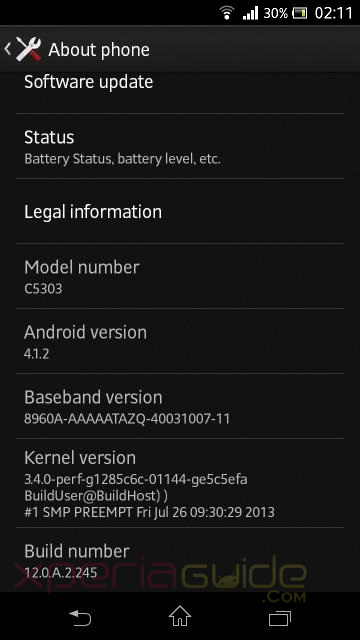 can i update xperia sp without using computer or laptop? Is RAM size increased or remains same?? check the post it is written in it. i mean it was written “766 MB Of RAM available for usage.” i don’t know the previous amount of RAM available…and here also it was not mentioned about either previous ram amount or whether it is increased or decreased . so…. ok, it decreased for us from 770 MB RAM. Its a good update, my quadrant score is excess of 8000 for the first time. I dont know if its just me but after the update the blacks look darker and also the horrible white film like light on the screen has reduced greatly. The picture quality seems to have improved but the main issue of touch screen response when placed horizontally still remains. I have a feeling this cant be fixed with a software update, my take is that this is a hardware issue. The problem disappears when you touch the aluminium band around the phone. I have a feeling this is some kind of electo-static thingy. I am thinking of using a soft case/soft rubber jacket on the phone. It may just work. With regard to the weak wi-fi reception, i havent checked as yet if this has been addressed. I got update and I realize that the swipe mode, face unlock and none option in security section are disabled.disabled by administrator,encryption policy, or credential storage,it’s written lower those options. i got the update conformation,but i’m afraid weather will it spoil my phone??? 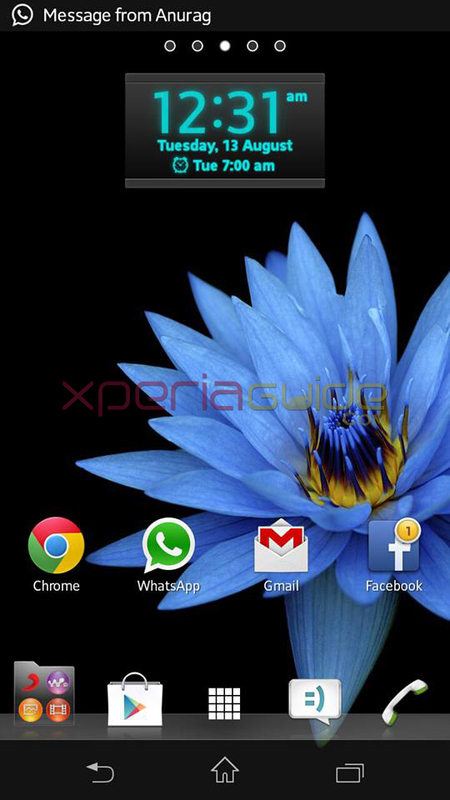 see buddy we have not got any issue with light illumination notification bar on our XSP. Though we are warning you that many users have reported to us about that issue. You should update it from my end. if at all i get any notification light problem, can i get it solved?? I used to get white spots when the phone is place horizontally on a flat surface is it fixed in this update “12.0.A.2.245” Please reply …. Didn’t see any issue like that in this new update..
Got the update but while updating via PC companion, it is not working. On reaching the stage of update, it powers off the phone and then shows message to power on by holding Volume down button and while doing so green light glows and shows charging symbol. Nothing happens afterwards. Yup it happened with us too..when the warning comes remove your phone from pc and then press volume down button and insert cable in phone as soon as it is detected update continues. Just disconnect cable and connect it to another usb2 port and continue set up. I am experiencing the same problem. last night when i tried with PC companion to update, every time my phone powers down when update starts after preparing. i tried the procedure of holding the volume down while connecting but nothing happened. Pardon me but what is SUS, i am not that tech savy. 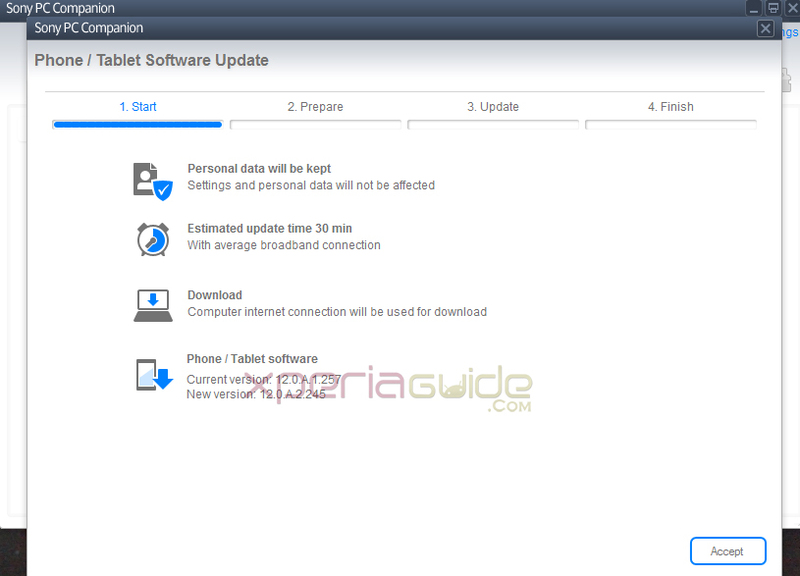 Download sony update service software SUS and try installing FROM it. completed the update from SUS. After update it seems battery discharging rapidly. Stamina mode still gives wi-fi notifications of apps like facebook, gtalk, whatsapp while not using the mobile. earlier it show only when the flip covers was opened. what is the “N” thingy that is up there? what purpose does it serve? Yes, the update is good. Apart from what you’ve mentioned here. Noticed that my reception seems to drop low or disconnect altogether since the update. Requires a restart or turn on flight mode and off again. as above mentioned by samir, i m also facing the problem like if phone placed horizontally touch seems to not work properly…so everyone has this problem or just me and him… if it is, thenwhether it is solved in the update or not??? I was excited about the new .2.245 upgrade which has minor changes.But my SP upgraded to .257 instead of .245. And now when I am trying to re-upgrade via PC Companion it won’t upgrade.It says that ‘There is no software for your mobile’.But everytime I connect it to PC it gives the notification of .2.245 upgrade. And while installing PC Companon I overlooked the location thing.It mistakenly installed US version instead of Indian version. Apart from that will i receive any notification of further upgrades or not?? The light notification doesnt work…..
No news about it, not even certified yet. i updated my xperia sp,but nw i am having issues with my notification lights…its nt blinking after i get a msg or miscall…wat should i do? Hahaha i am not writing all countries list who have got the update. Second thing i didn’t get your second comment. .257 was in India and if it is not in USA not my fault. My info was 100% claimed for INDIA .257 update. Better brush up your facts. On my x sp, after the above OTA update, my phone is heating up noticeably more and phone seems to take more time to charge and drains faster?? It’s that right. Has anyone else faced this at all? Another 24 hours later, my phone seeMs to have settled down and the battery heating problem is better. WiFi issue is the same. Range less than 4 meters. Camera has improved in low light. I bought a new sp two days before and now i am facing problems with light effects, i am getting lights on call,photos and music.but i am not getting light while playing videos. tried restarting the phone,no use. I bought new SP c5303 on yesterday. while i am opening whatsapp it shows as your phone date and time is inaccurate. But i set date and time correctly. how can i rectify this problem? 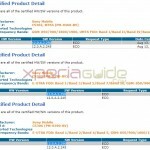 Planning to buy a Xperia SP……….. 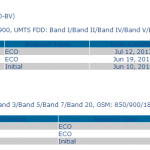 Lot of complaints (Read in various forums) that the phone has low Wi-Fi range and frequently drops Wi-Fi connections…. Is it true?? Is it worth buying the phone? And will it get a 4.3 and future 4.4 update?? …… (i live in India)….. I have recently updated my phone with new update. I had taken back up before updation. When I have restored my data i got every thing back except my contacts. I tried again, again and again but all in vain. my contacts seems to be lost now. Please Suggest how can i take my contacts back. I still have back up file in my laptop.